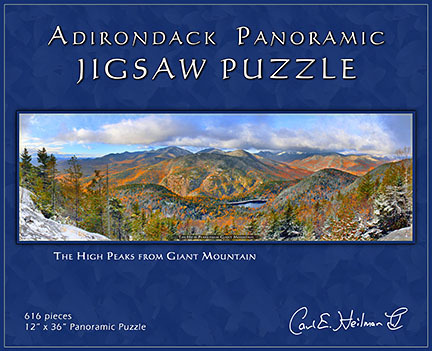 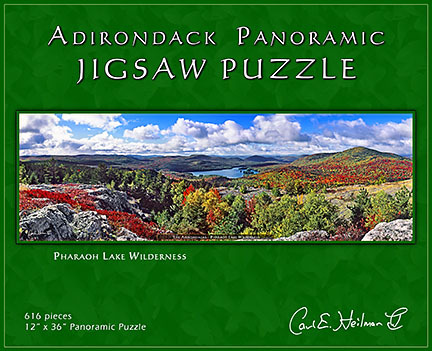 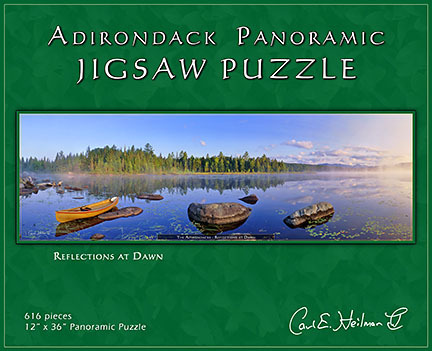 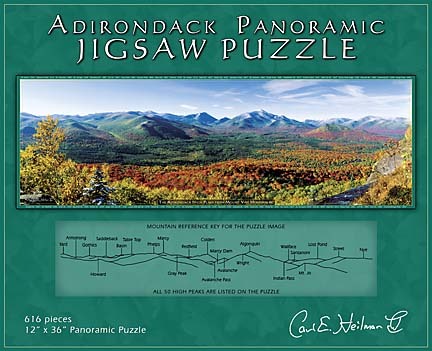 Bring the beauty of the Adirondacks and the stunning landscape photography of Carl Heilman in to your home with these panoramic jigsaw puzzles. 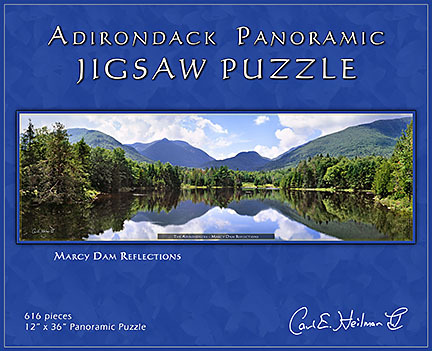 Give your friends and family a fun Adirondack challenge. 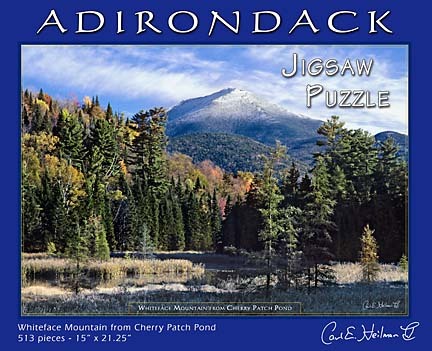 Puzzles contain 616 pieces (Whiteface puzzle has 513 pieces). Each jigsaw puzzle measures 12" x 36" (Whiteface measures 15"x21.25"), standard frame size that can be turned into wall art. 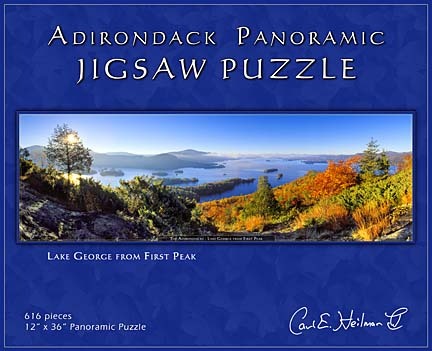 Watermark not present on the puzzle image. 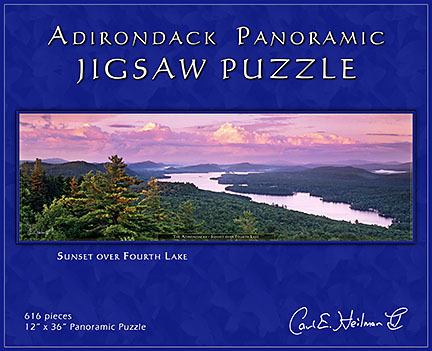 Available in seven different images: Sunset Over Fourth Lake, Marcy Dam Reflections, Pharaoh Lake Wilderness, Reflections at Dawn, View from Van Hoevenberg, Lake George from First Peak, Whiteface Mtn from Cherry Patch Pond & The High Peaks from Giant Mountain.